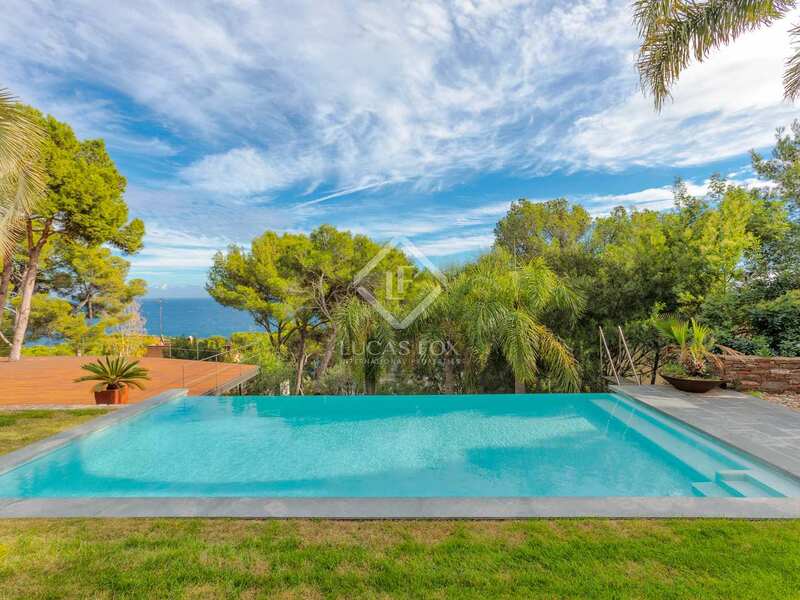 5-bedroom villa with a garden, pool and beautiful sea views, for sale 5 minutes' walk from the beach and the Tamariu's seafront promenade. 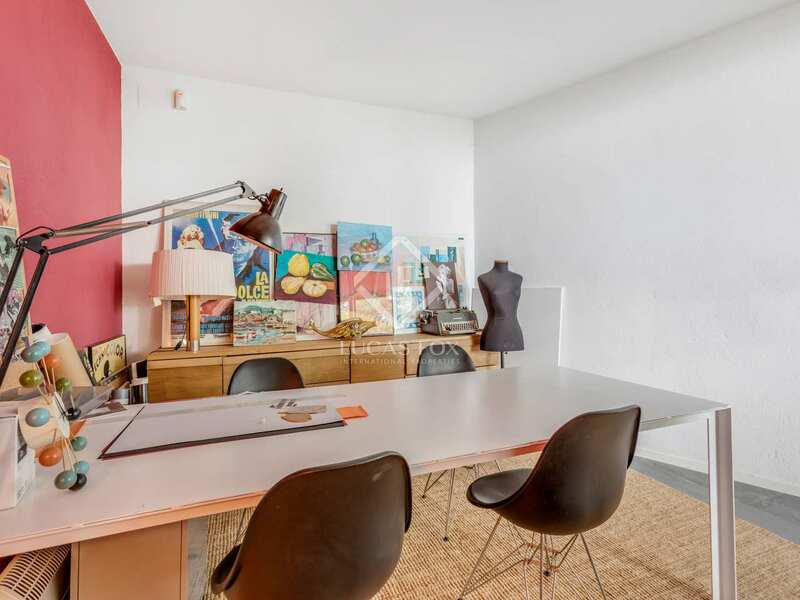 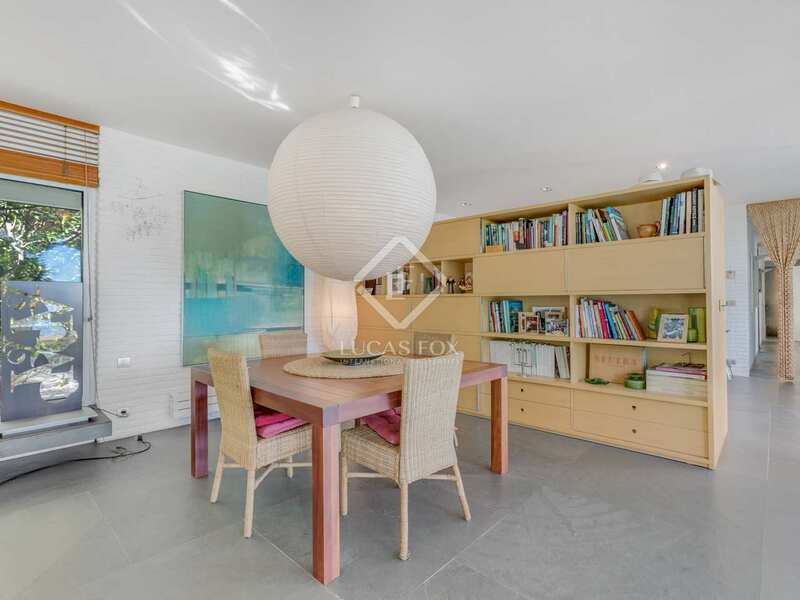 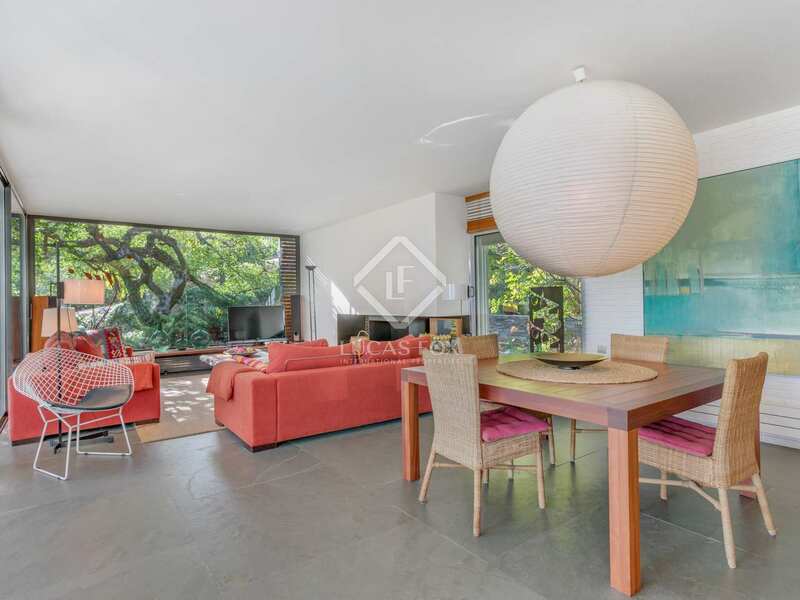 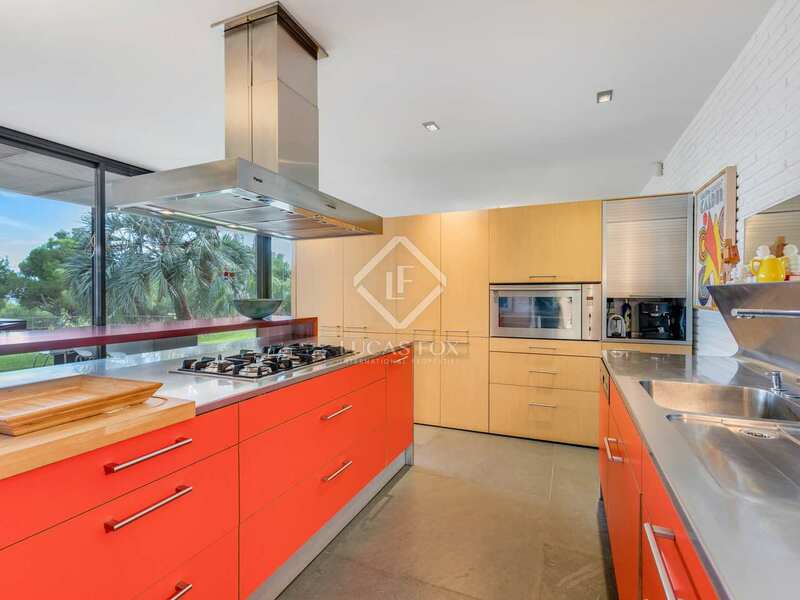 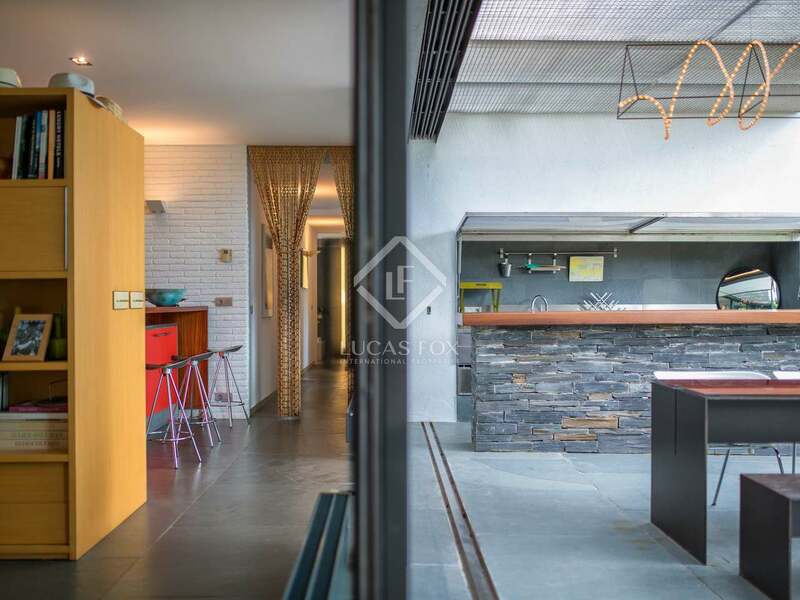 This modern villa with wonderful sea views is situated on a 1,800 m² plot just 5 minutes' walk from the beach and Tamariu's beautiful seafront which offers a wide variety of restaurants and small shops, plus a supermarket. 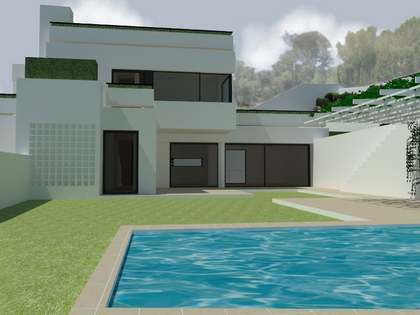 An automatic gate gives access to the plot, there is both an outdoor parking area for several cars and a closed garage. 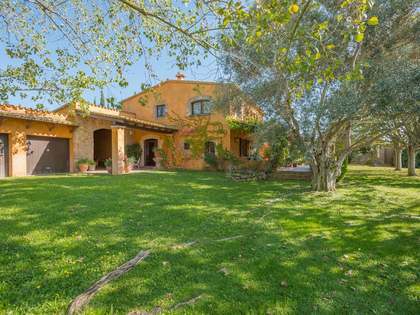 The villa is distributed across 1 floor, on entering there is a large living room with a fireplace and fully equipped kitchen. 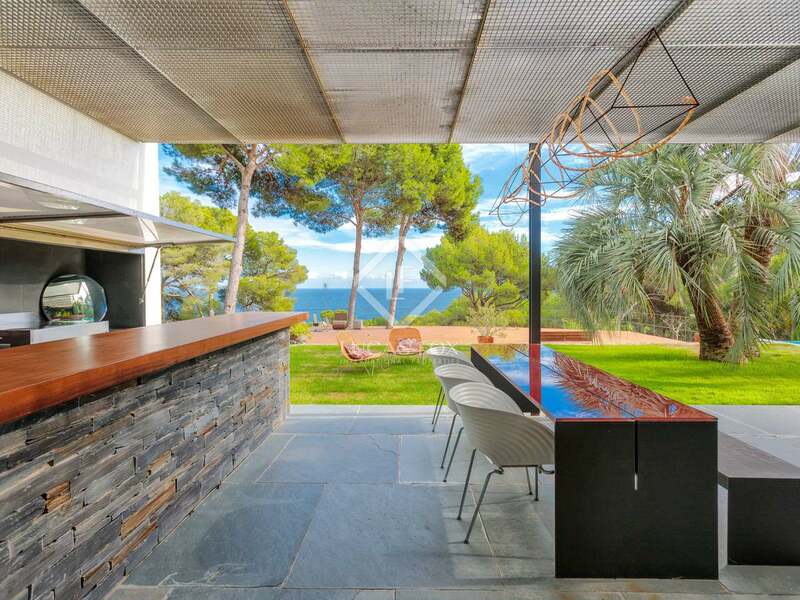 This room offers beautiful sea views and access to a spectacular summer terrace equipped with an outdoor kitchen and barbecue, which in turn leads to the pool with chill-out area and the garden that surrounds the entire villa. 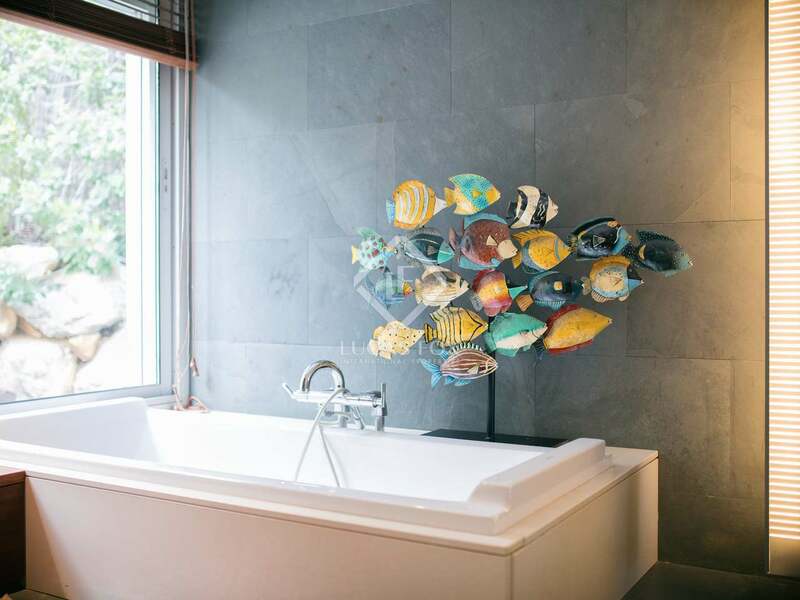 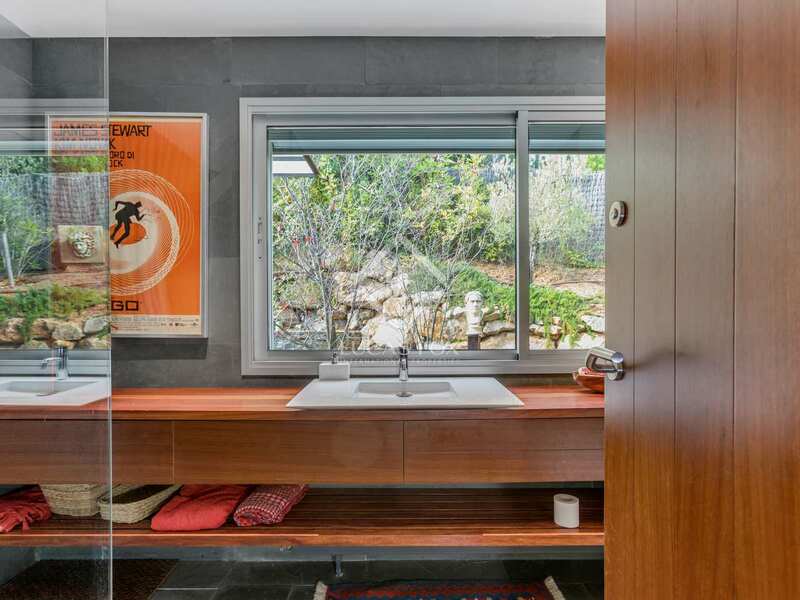 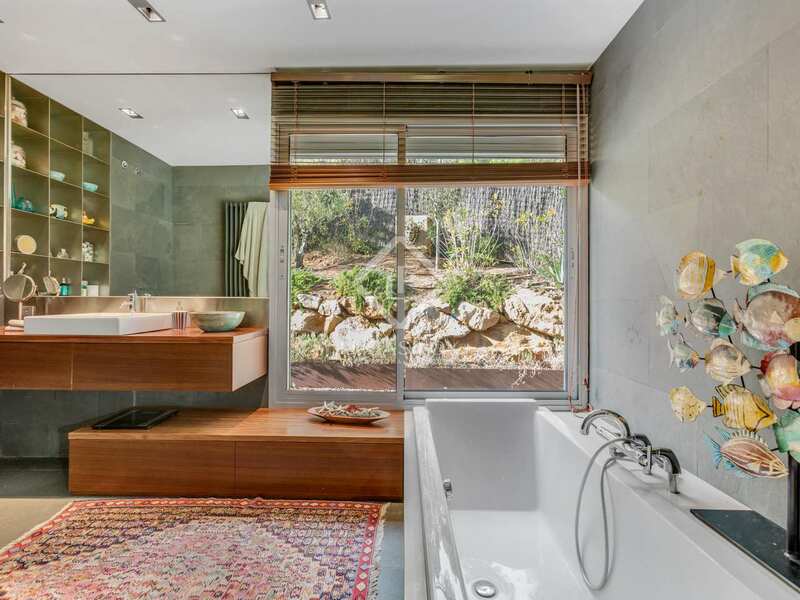 Returning indoors, the villa has a total of 3 bedrooms: the master bedroom with en-suite bathroom, and 2 double bedrooms that share a complete bathroom. 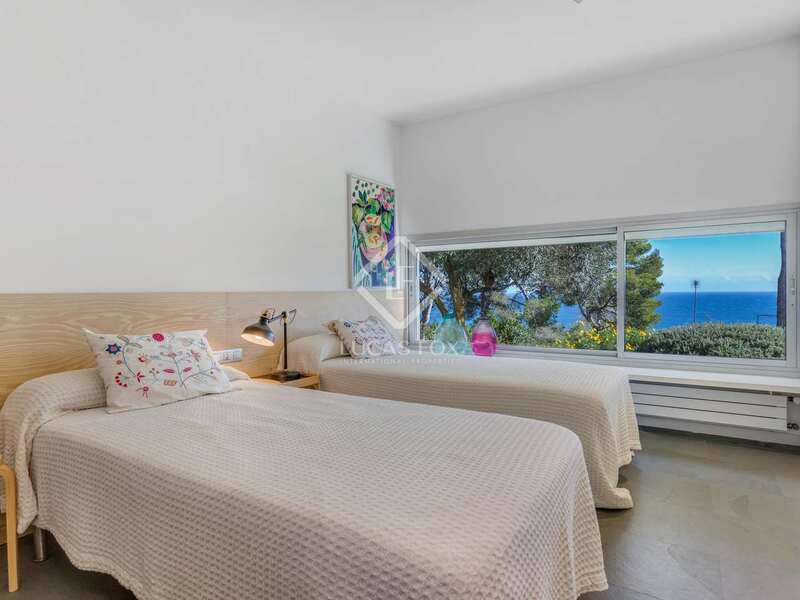 Each of the bedrooms has sea views. 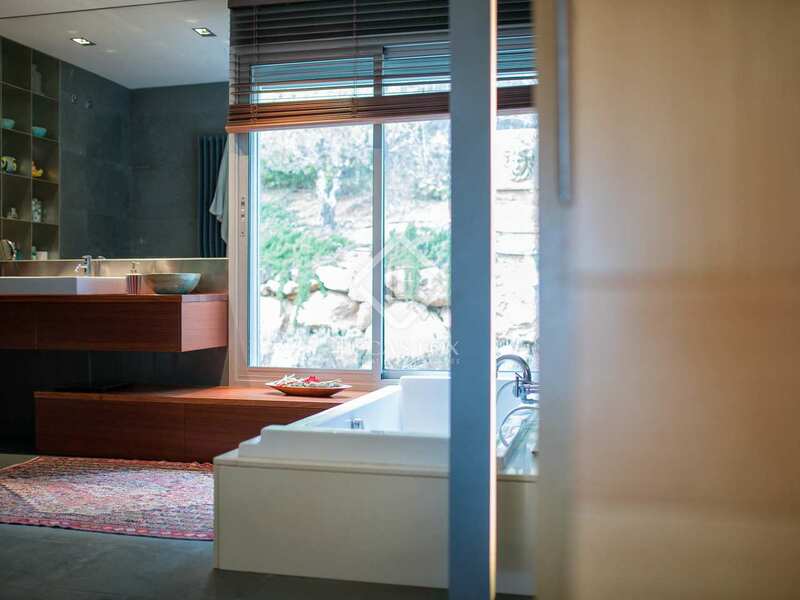 Outside the villa there is a room with a bathroom, which could easily be converted into an additional bedroom or guest/service accomodation. 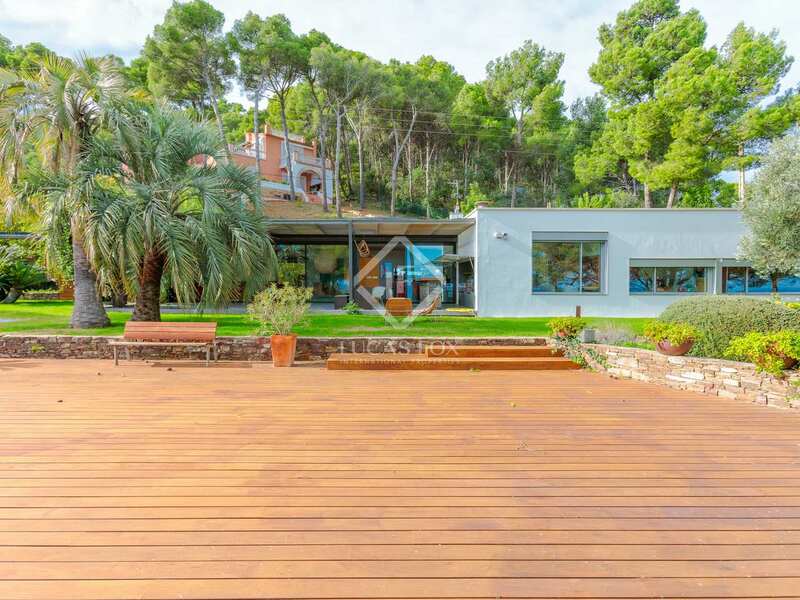 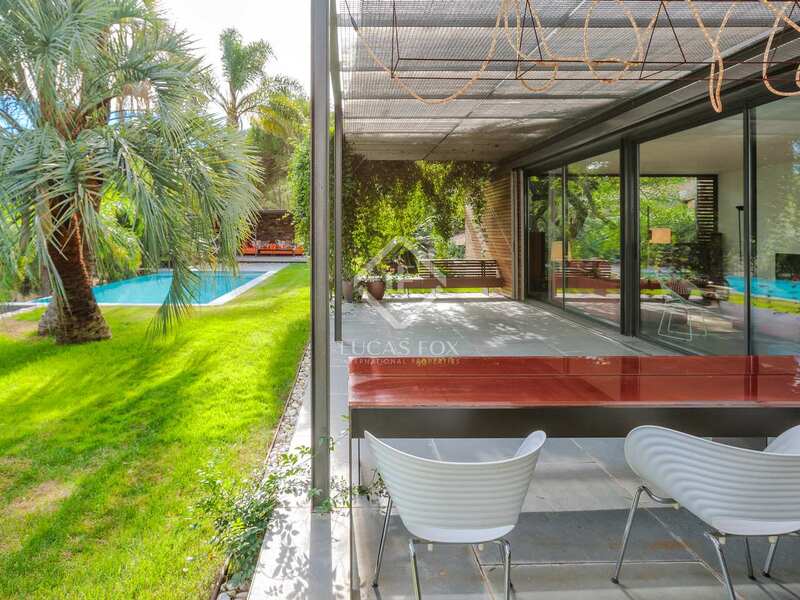 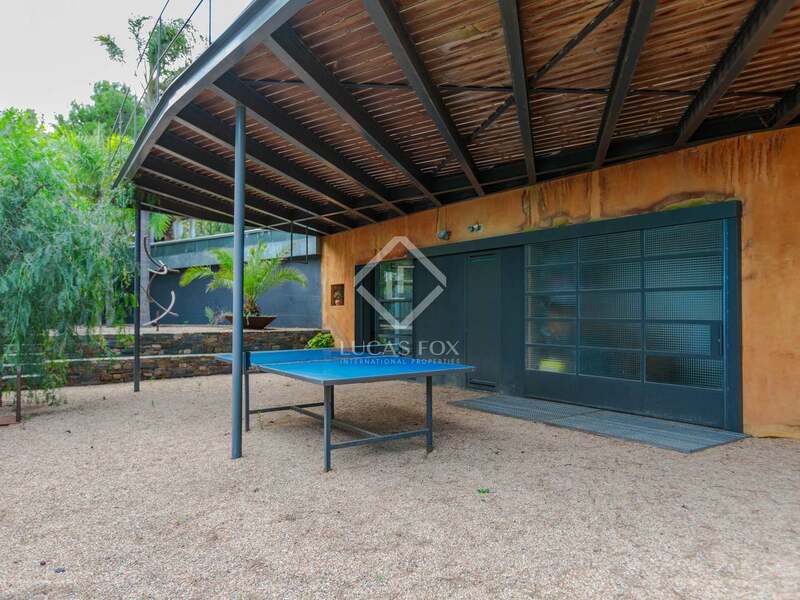 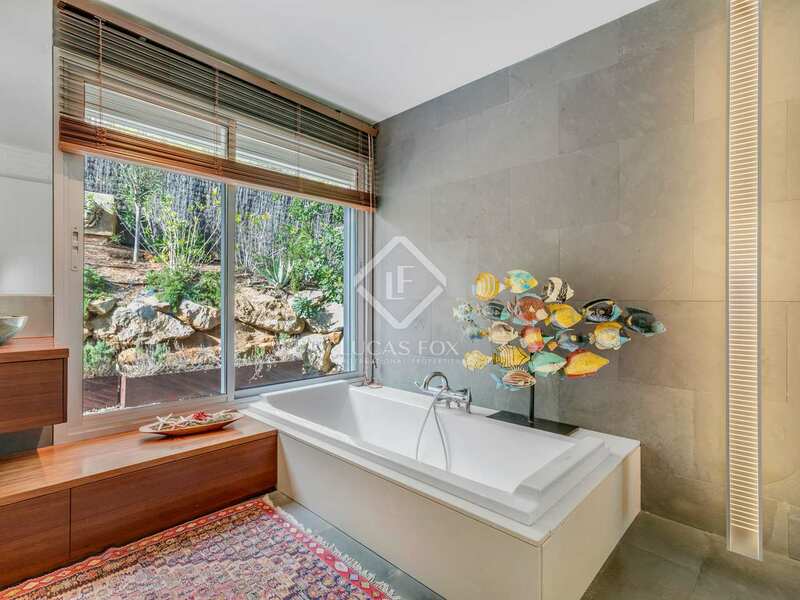 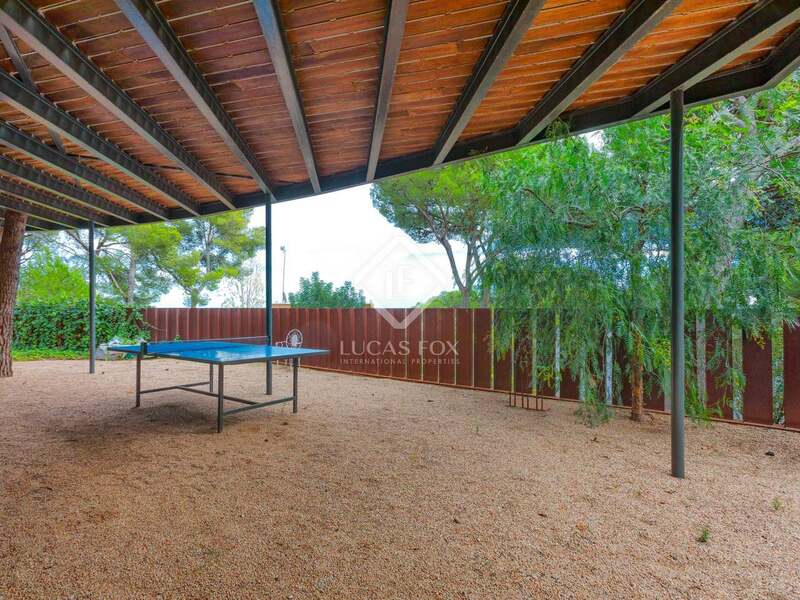 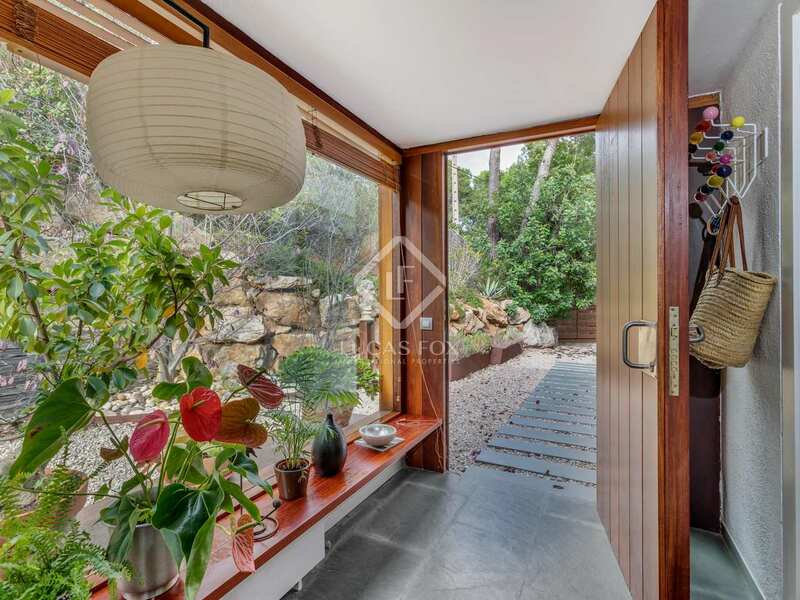 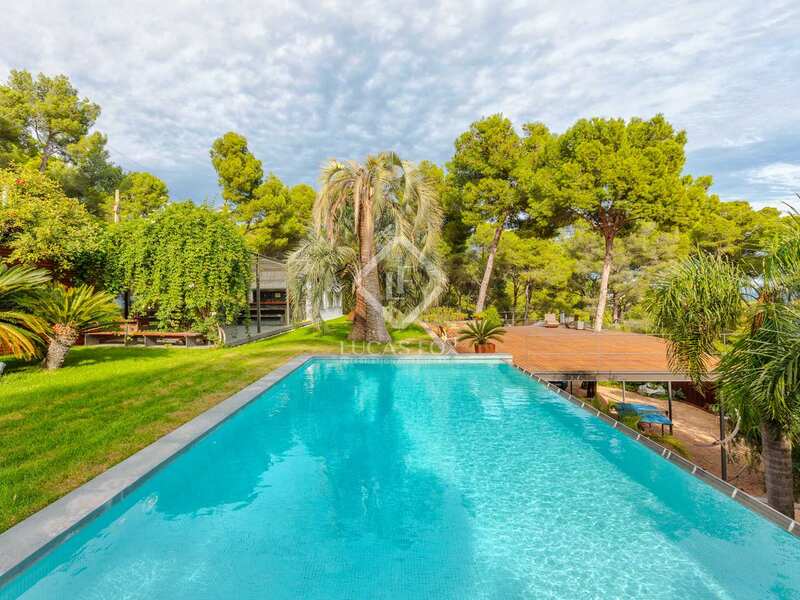 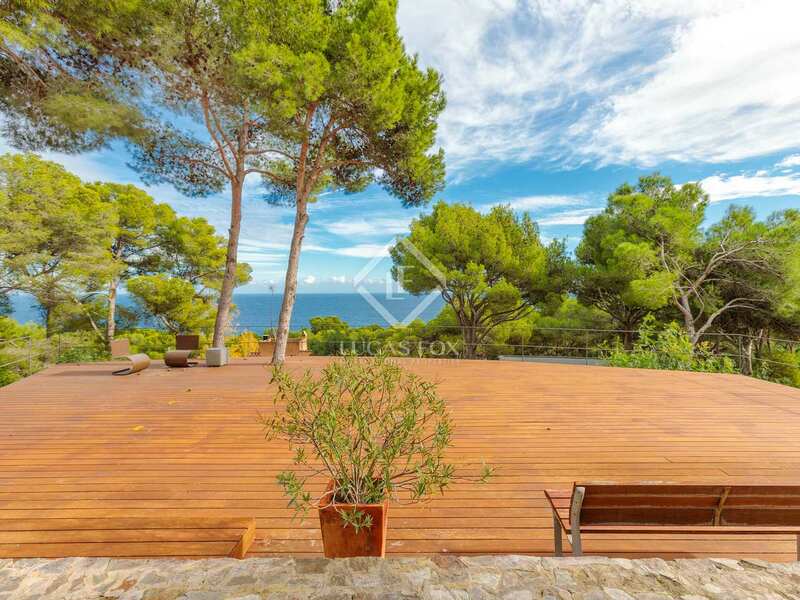 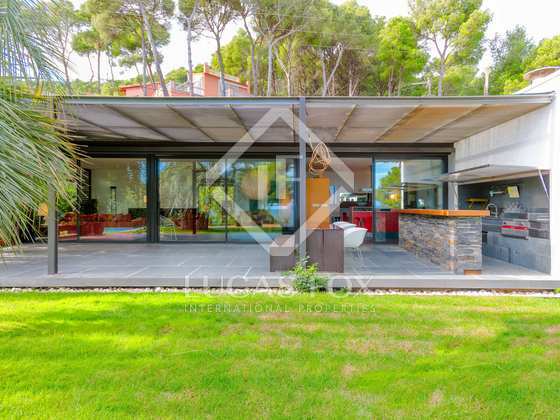 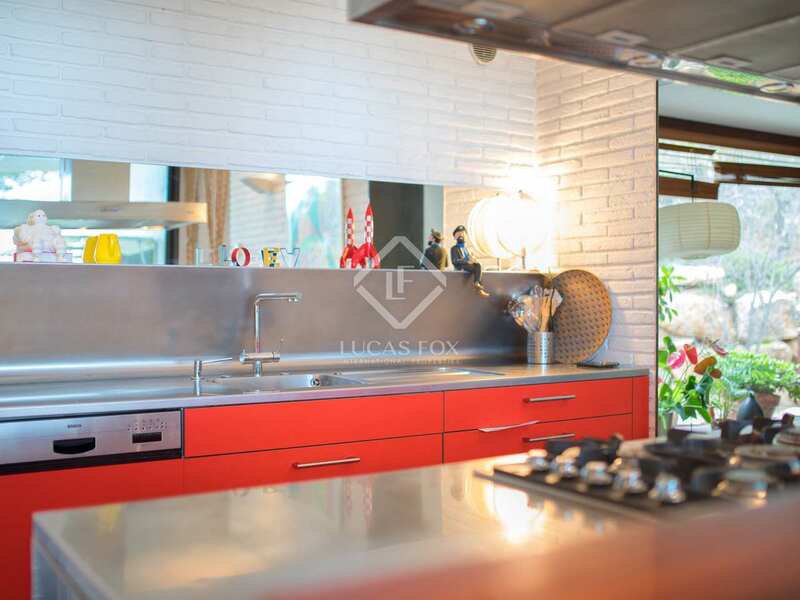 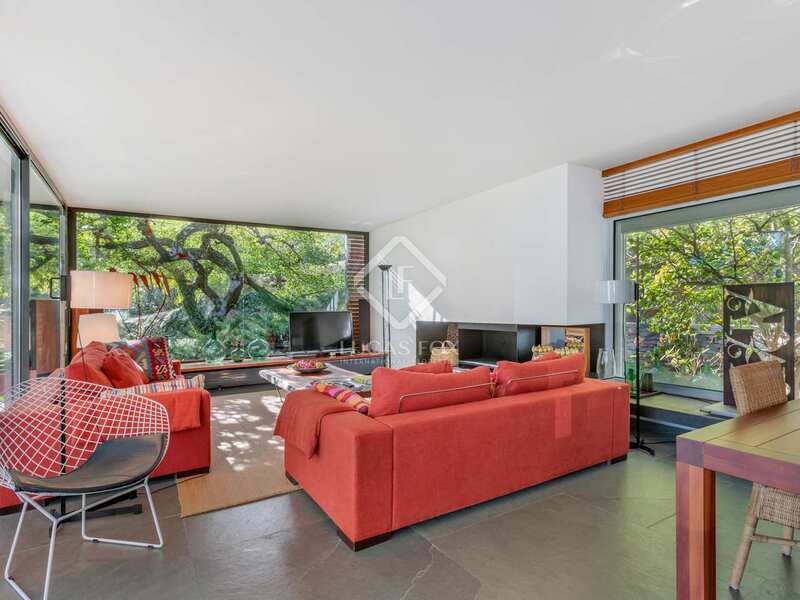 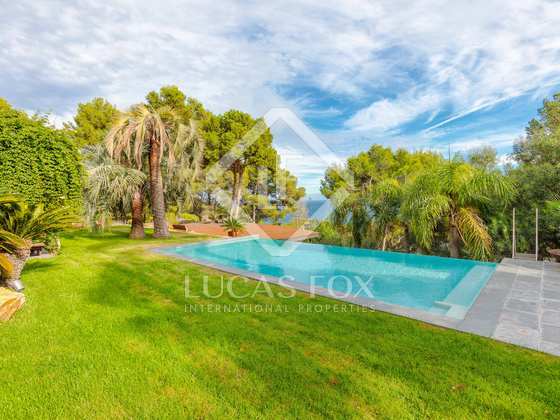 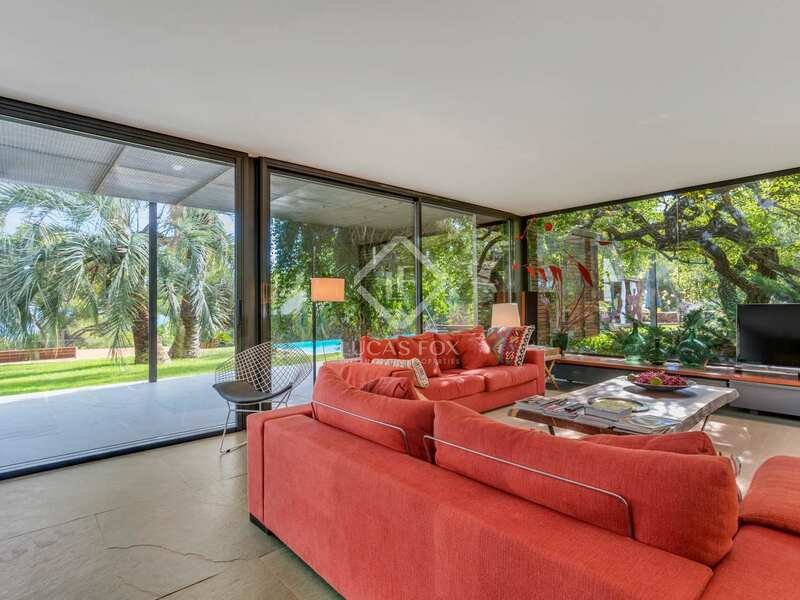 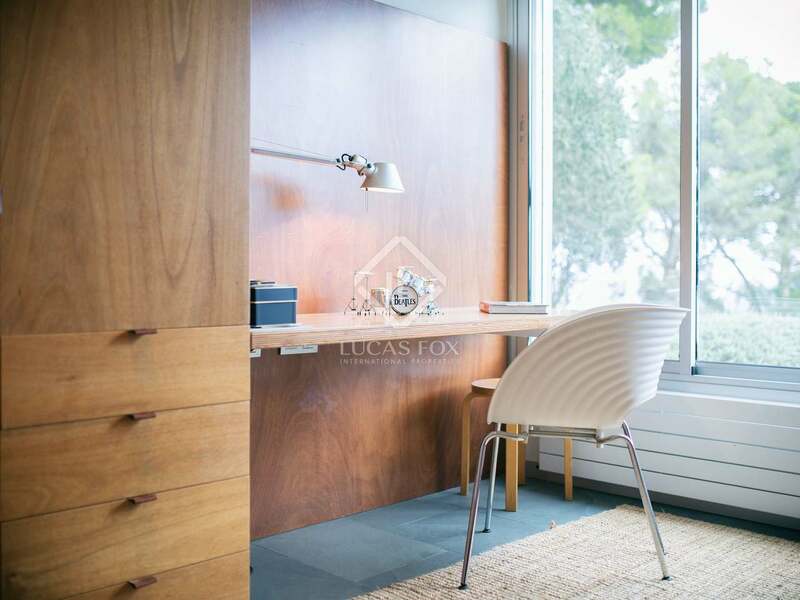 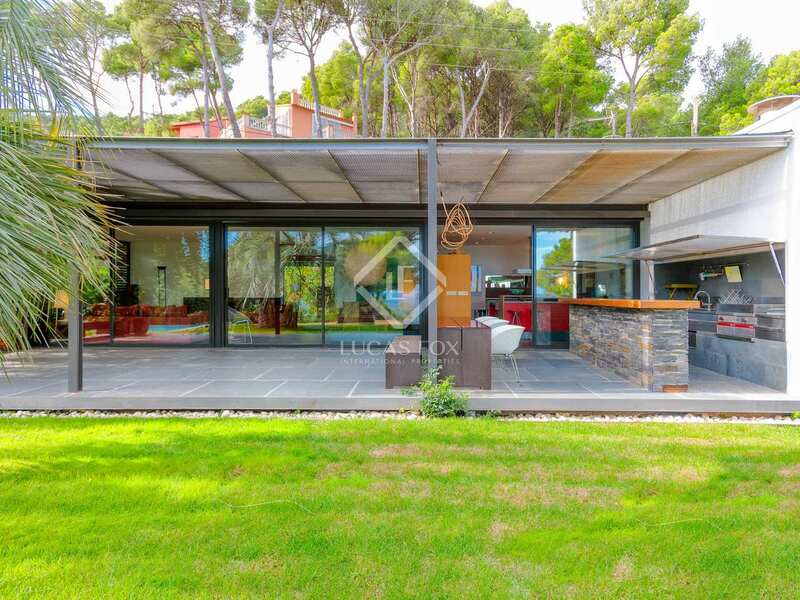 This property, which offers great privacy, would make an ideal second home given its wonderful setting, surrounded by a pine forest and with views of the Mediterranean Sea. 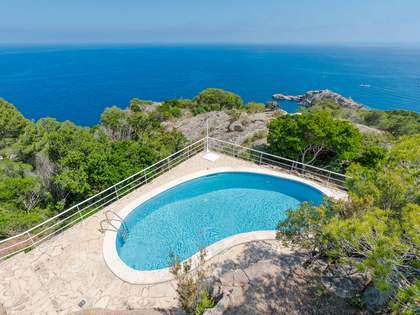 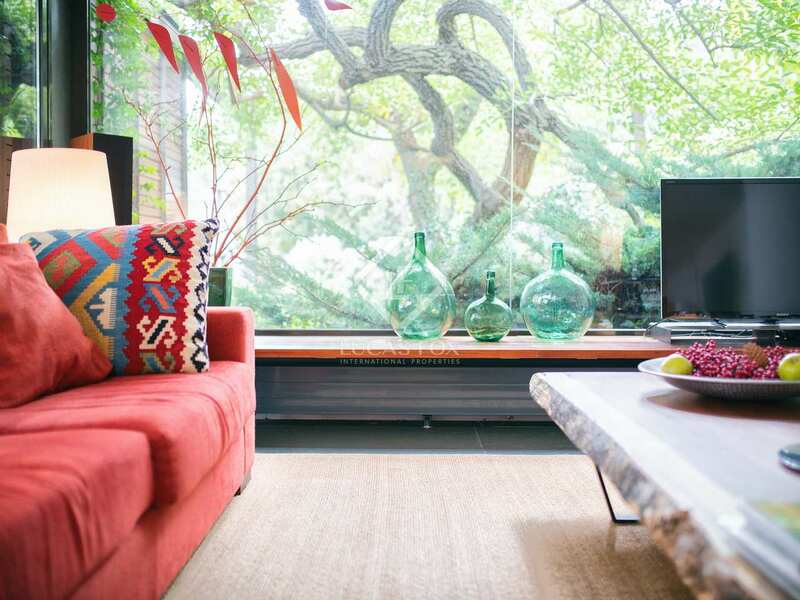 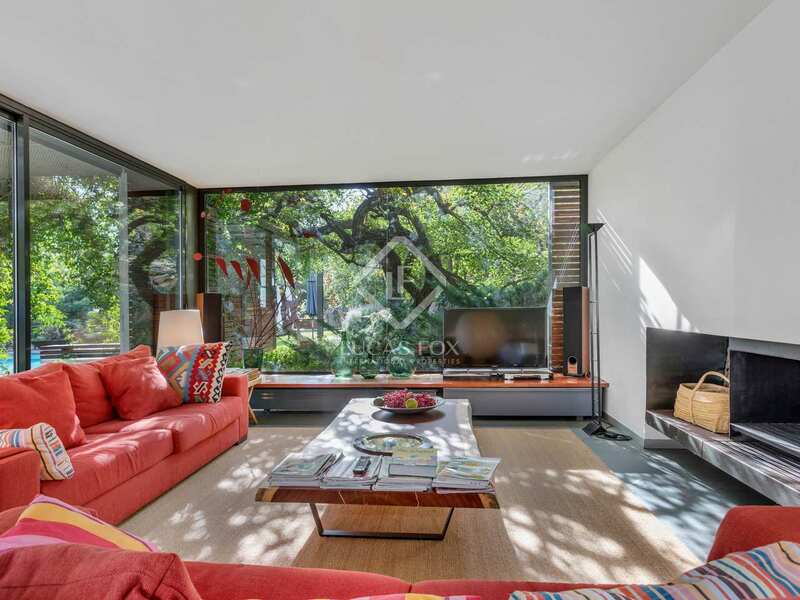 It would also be an interesting investment opportunity due to the high demand for holiday rentals in the area from both national and international clients. 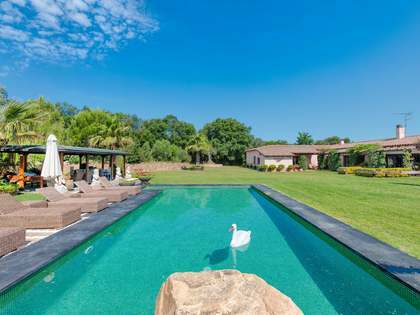 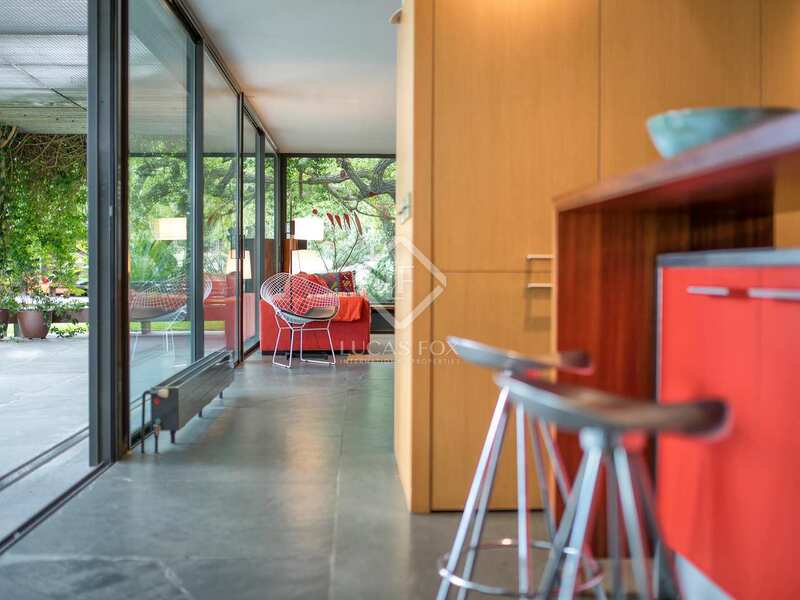 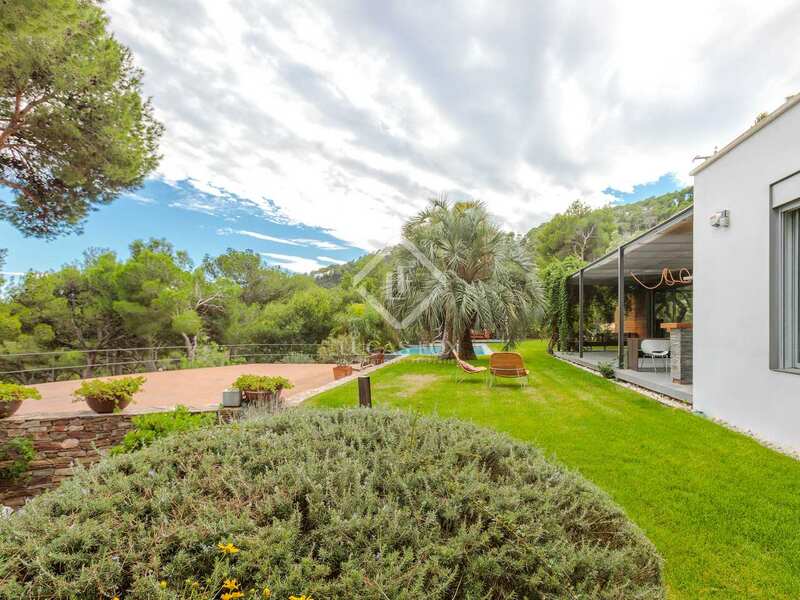 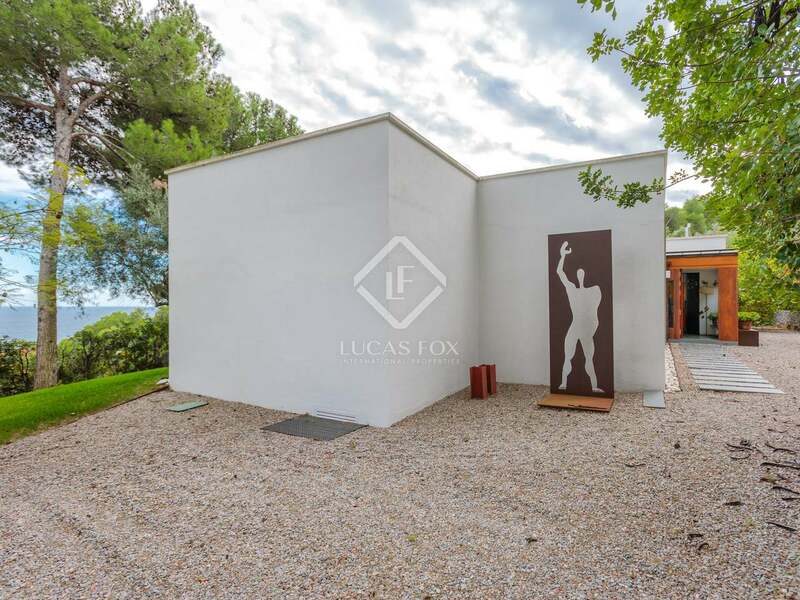 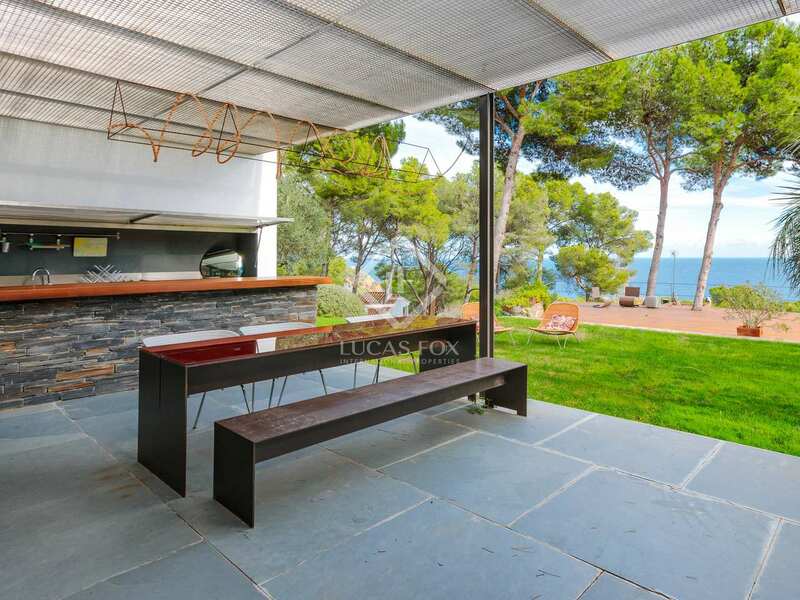 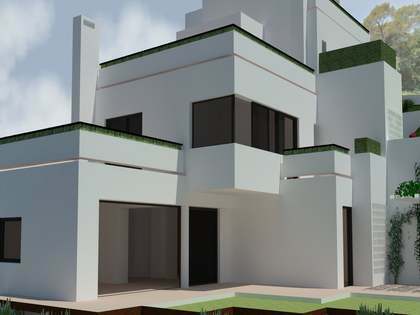 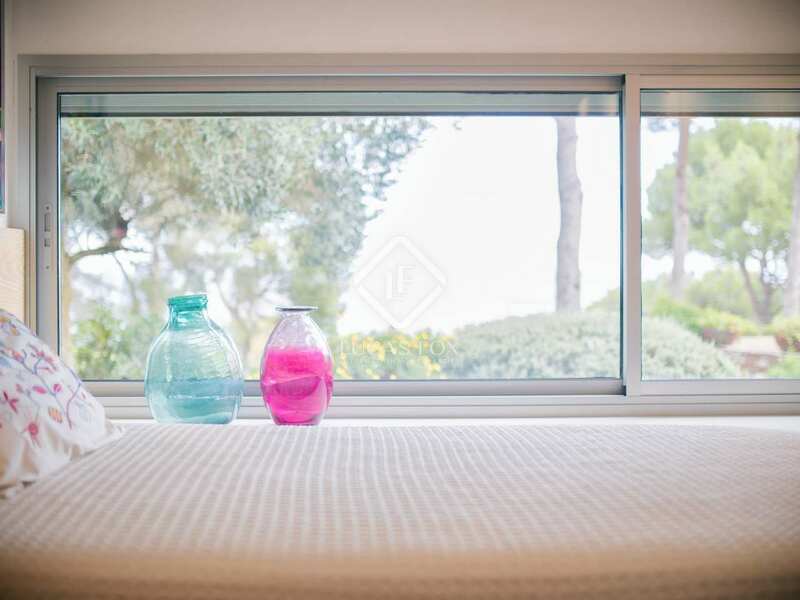 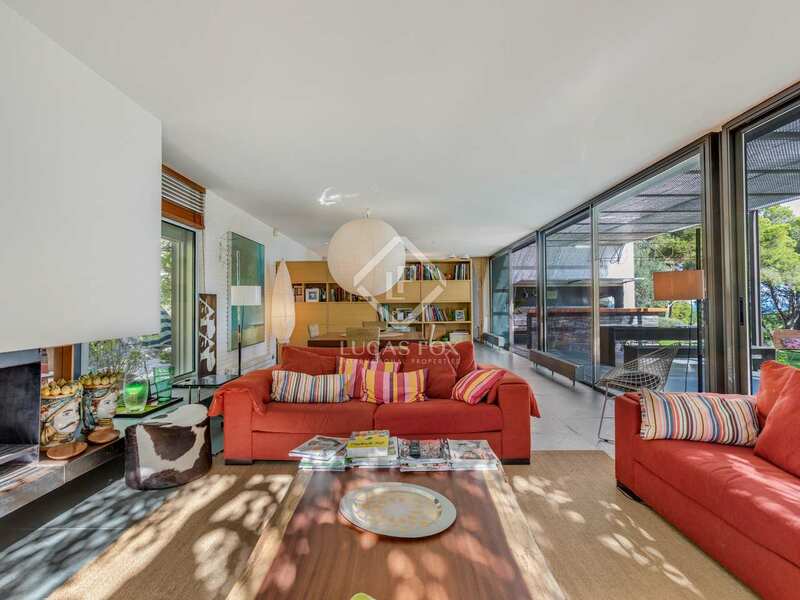 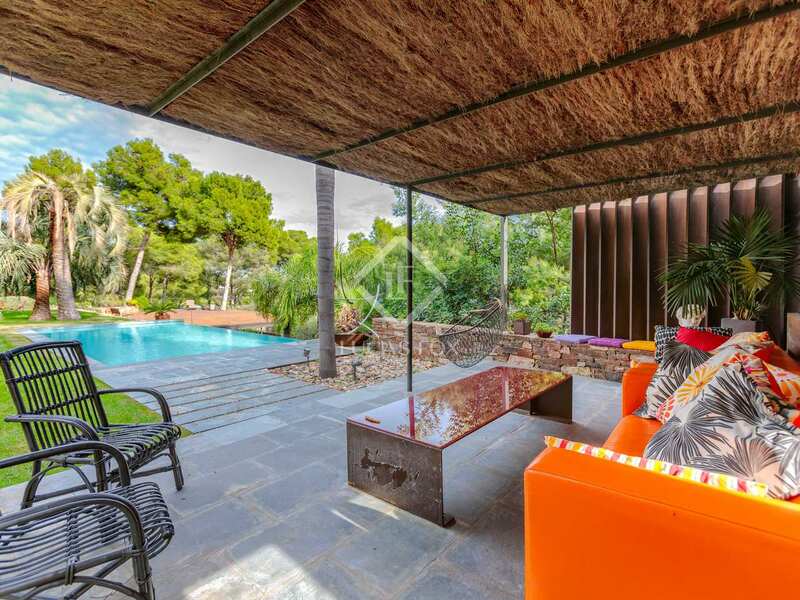 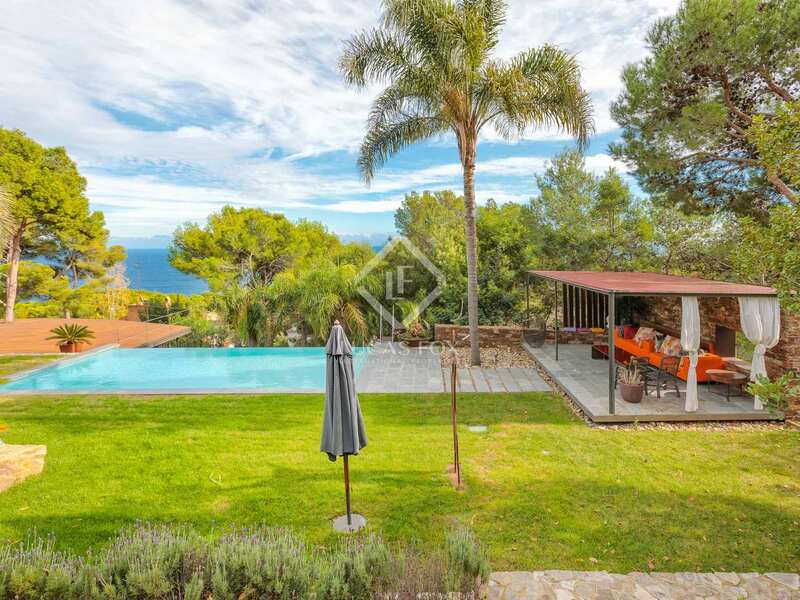 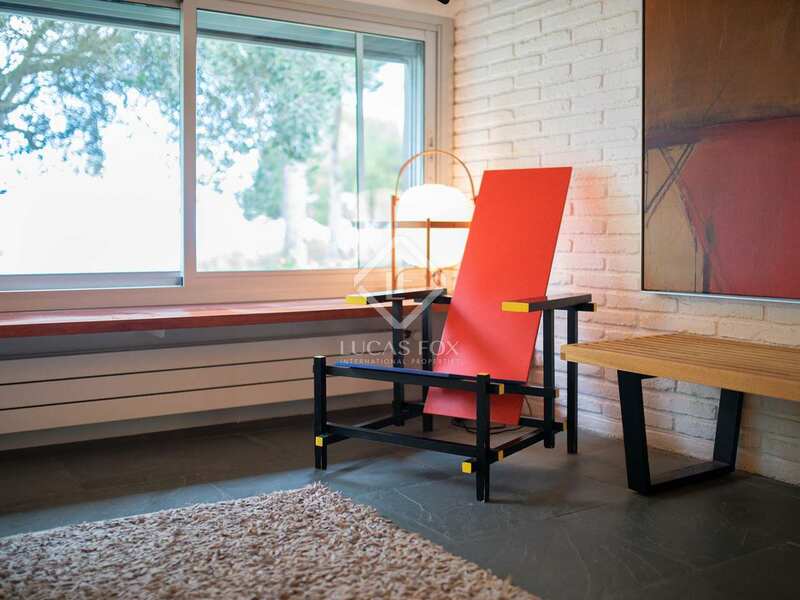 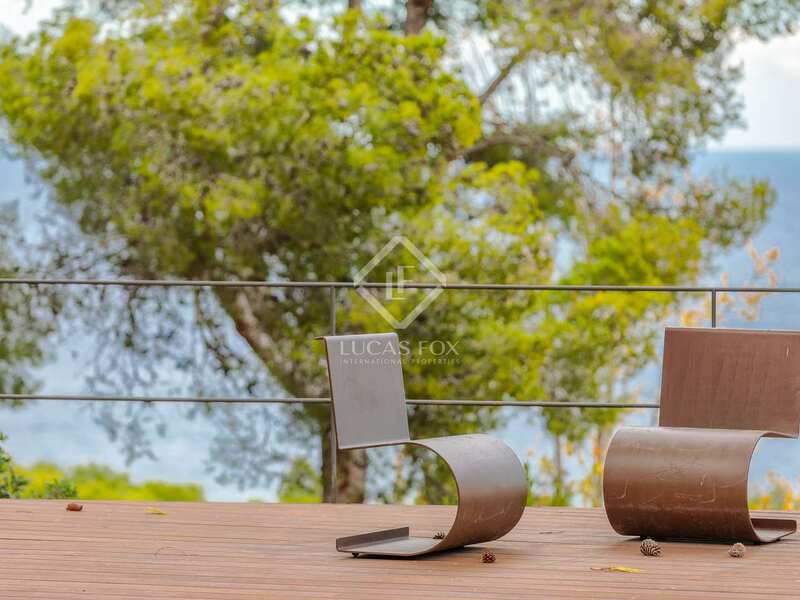 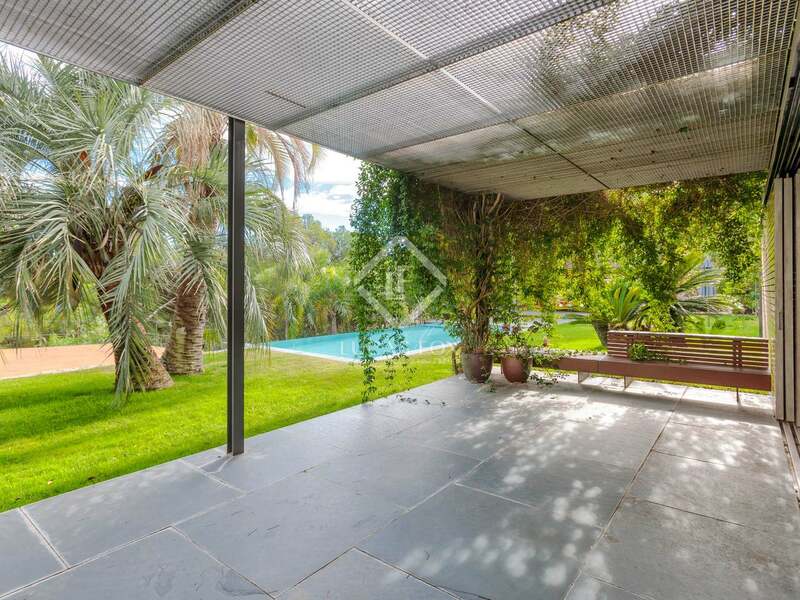 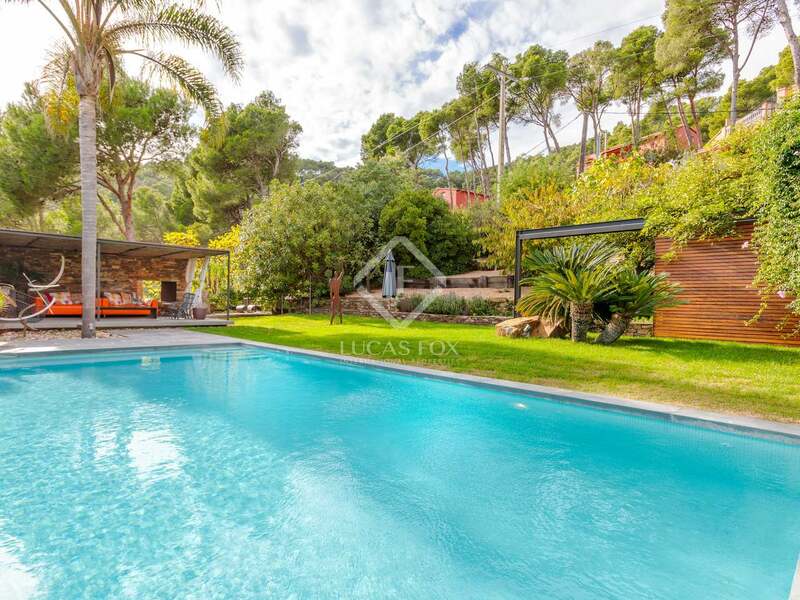 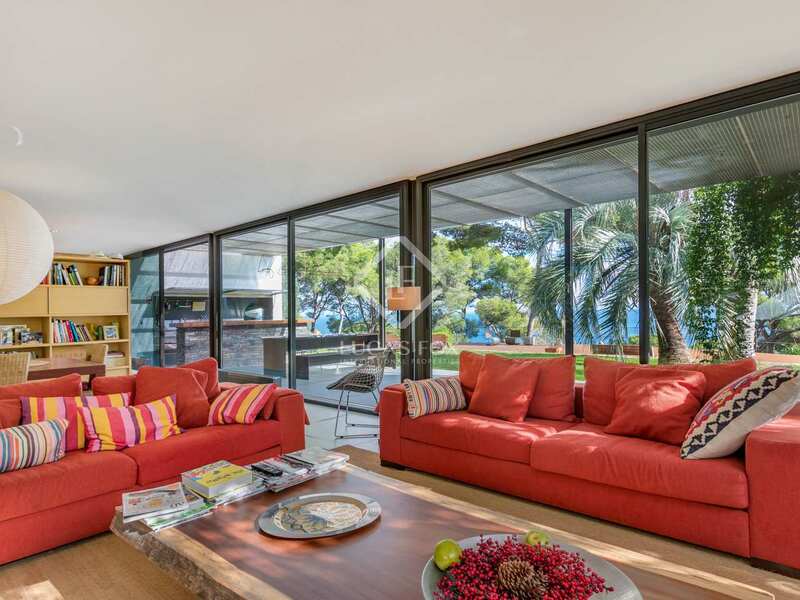 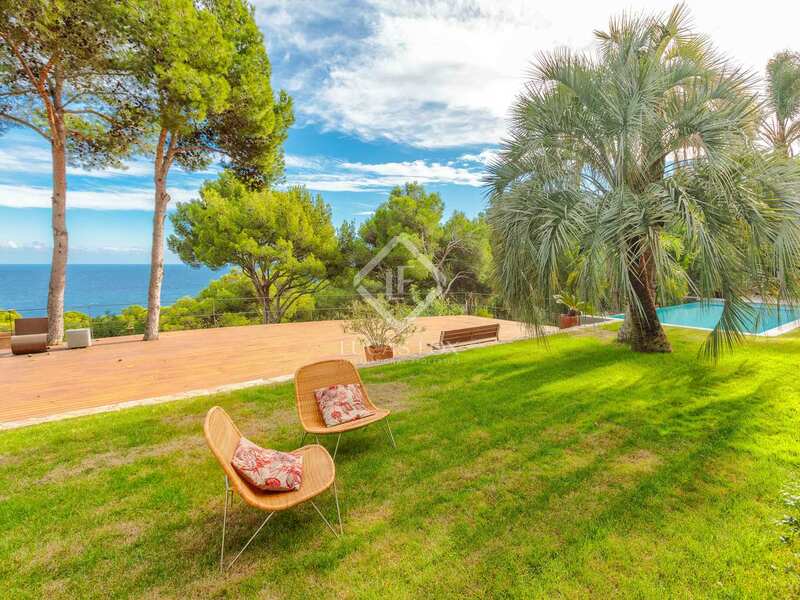 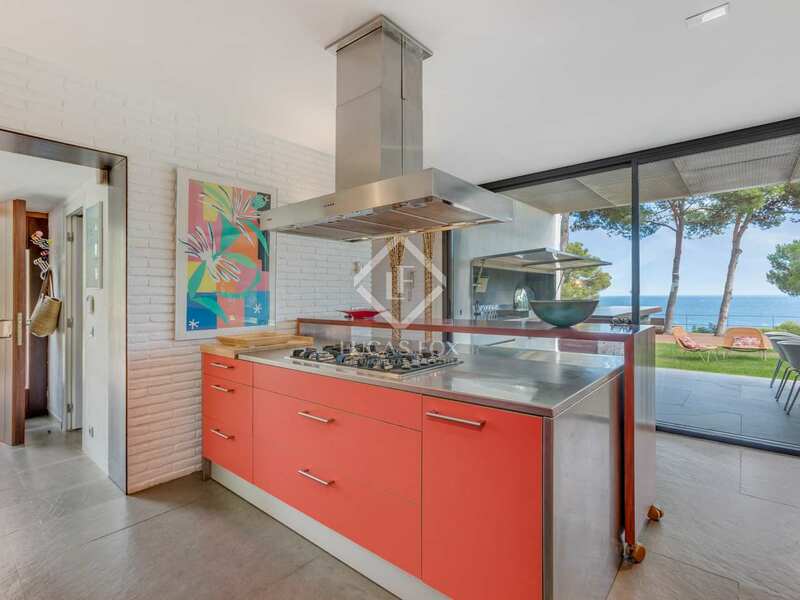 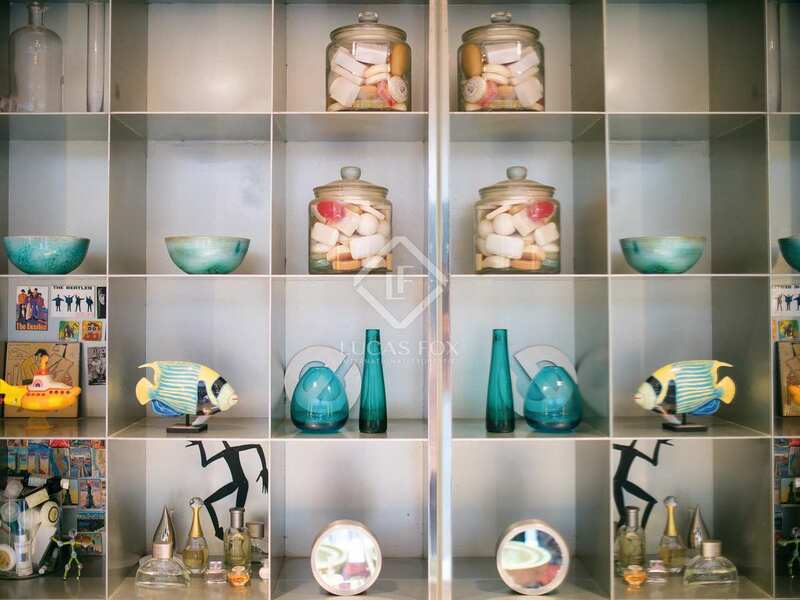 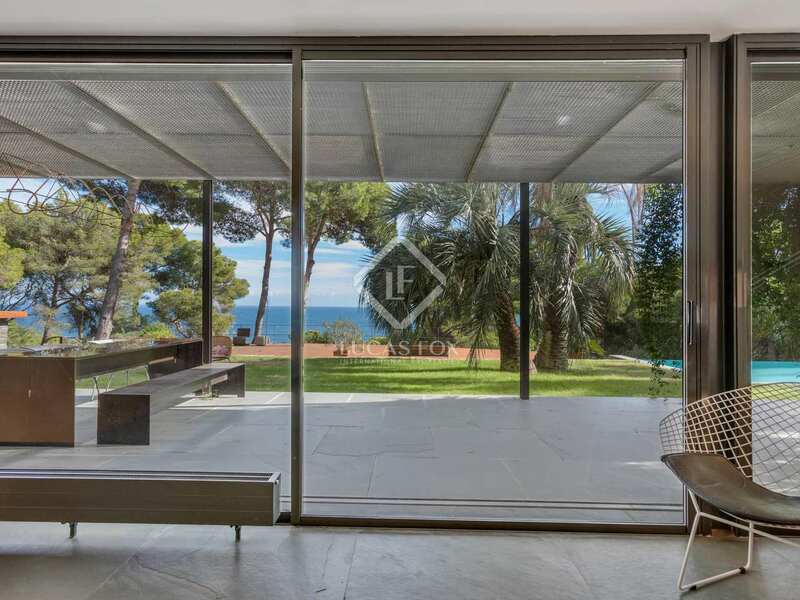 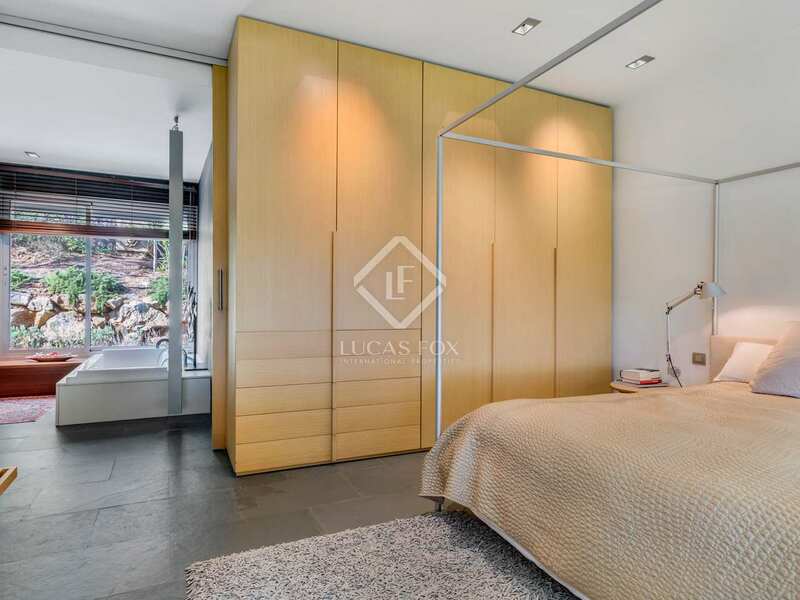 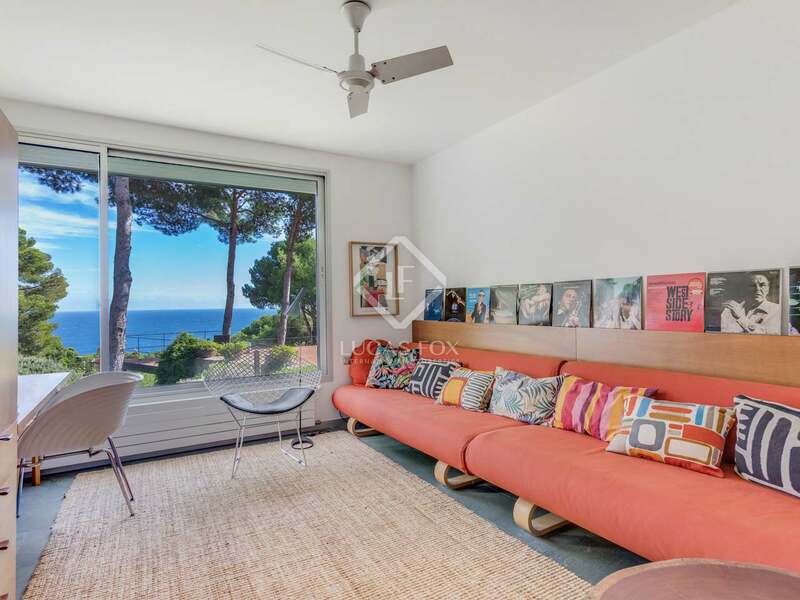 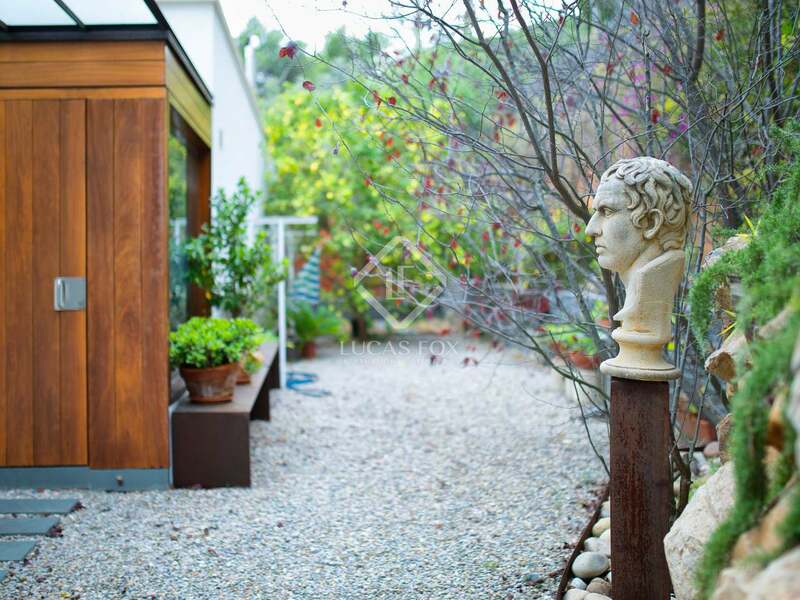 Villa located in Tamariu, one of the most beautiful and sought after towns on the Costa Brava. 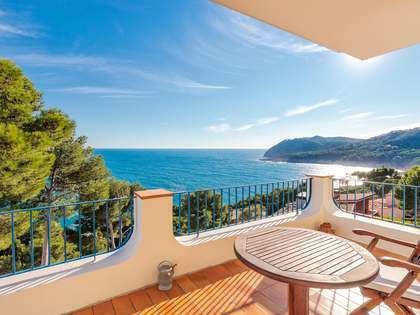 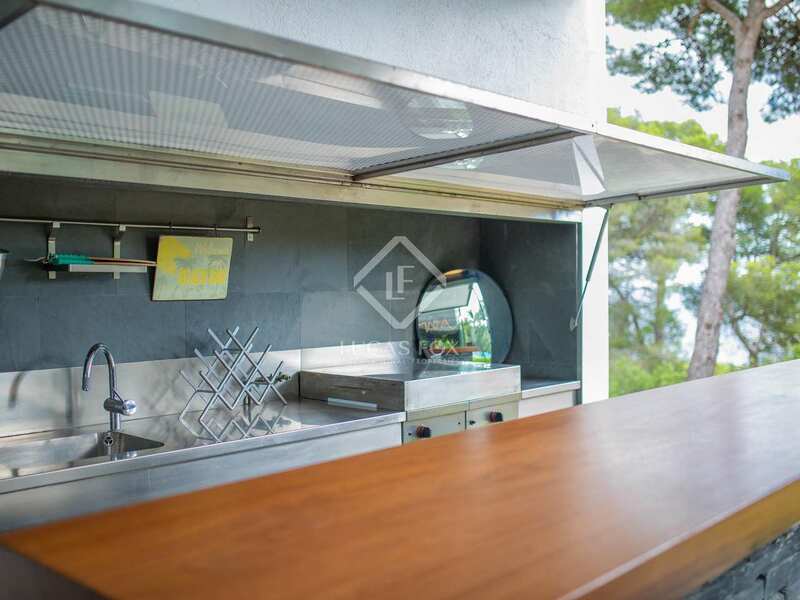 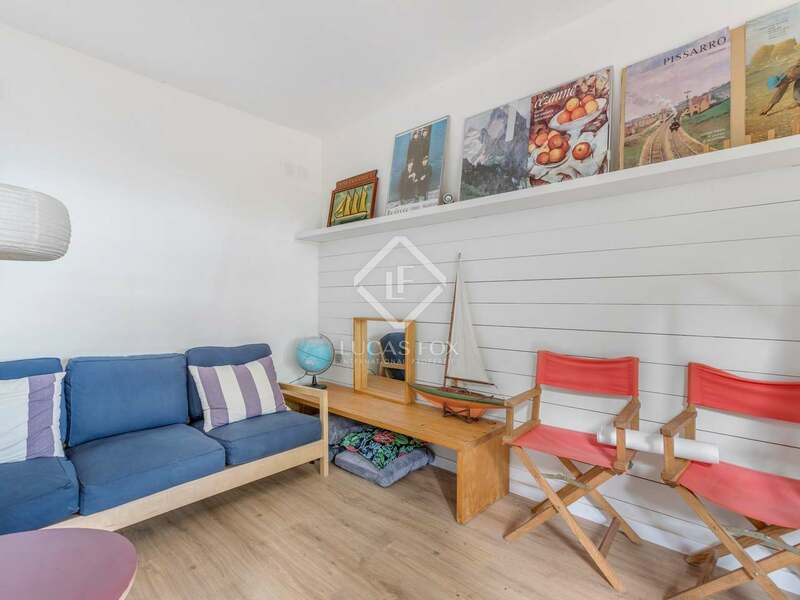 It is surrounded by a pine forest and is just a 5-minute walk from the beach and the seafront promenade, which offers a variety of restaurants and small shops, plus a supermarket, where you can buy everything you need.